Just curious on who's in Wichita (or surrounding areas), Kansas? I tried finding a member search feature here but either just can't find it or there's not an option for a member search. I'm in Olathe KS and I know there are some others on here in the Kansas area. Me my girlfriend and a friend are riding down to Wichita the middle of May to visit a buddy and take in some of the sights. There's a couple good sights in Wichita. They're both in my bikes 2 mirrors Nice bike BTW. I need to get me a sissybar too. Just started riding mine about a month or so ago...Love It!!! Be safe. 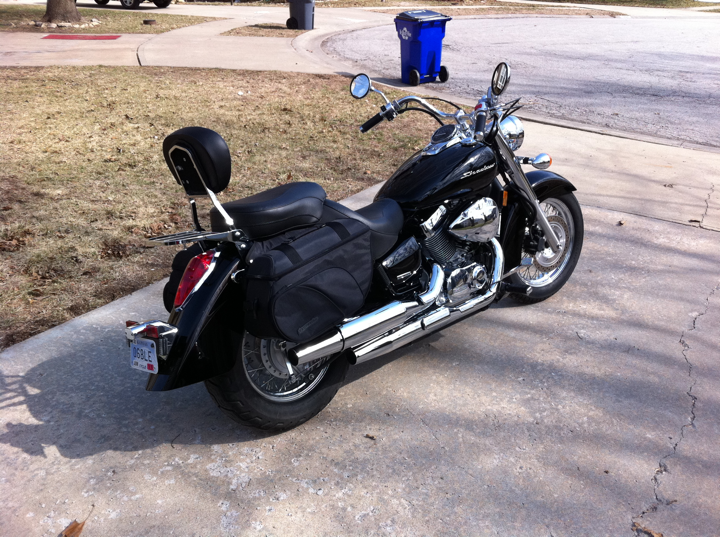 Just traded for my shadow... and moved to Iola, KS. I'm busy on sundays so cassidy is out but i'm up for a ride any other time of the week with enough notice. I'm in Independence, MO. Not too far away. 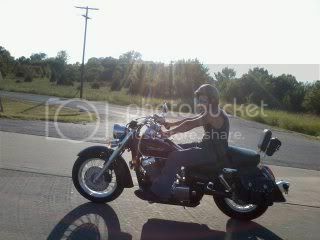 The wife and I ride out of Ellsworth .